I am not saying that it's bad, in fact, it's the best introductory material for REST with Spring framework but you need to learn a lot more than just basics to develop a real-world REST API or RESTful client using Spring framework. There are many other things like filtering, pagination, error handling, and security of RESTful Web services using Spring and Spring security which is not covered. This is where these books and courses come into the picture. They have focused on developing RESTful Web Service using Spring and cover the topic in good detail which is required to develop a RESTful Web Service using Spring. You can also combine these books with REST with Spring training by Eugen Paraschiv. Eugen has rich experience in building and securing REST-based web services in the real world, which he generously shares in his popular course. There are in fact some free chapters which you can see here before you buy the course from his website. This is one of the latest and greatest books on the topic by Ludovic Dewailly and it covers most of the things you need to learn for developing a RESTful Web Services in Java using Spring. As I have said before, Even though, the Spring in Action 5the edition is is the best book to learn Spring, it's simply not good enough for learning RESTful Web Services. 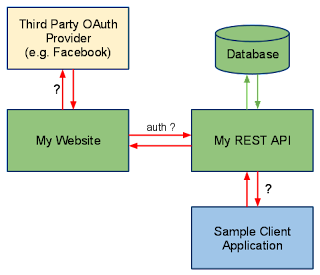 It does cover basics like @RestController, @ResponseBody, @ResponseStatus but doesn't provide all the information required to work in real-world RESTful web services running in production. Many advanced concepts like filtering, pagination, and security is not covered in that book, this is where Ludovic Dewailly book helps. It provides a deep dive into the principles behind REST and teaches you how to expose CRUD operations through RESTful endpoints with the Spring Framework. It also teaches you techniques to secure your web services, versioning, maintaining backward compatibility etc. You will also learn the best ways to test your RESTful web services, including tips for load testing. Finally, it gives a nice overview of advanced concepts like optimization and scaling web services using techniques such as caching and clustering. 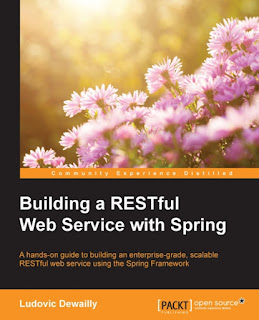 In short, one of the most complete book to develop RESTful Web Services using Spring. This book is intended for those who want to learn to build RESTful web services with the Spring Framework. To make the best use of the code samples included in the book, you should have a basic knowledge of the Java language. Previous experience with the Spring Framework would also help you get up and running quickly. Microservices break up your code into small, distributed, and independent services that require careful forethought and design. Fortunately, Spring Boot and Spring Cloud simplify your microservice applications, just as the Spring Framework simplifies enterprise Java development. When you buy the print version of this book you will also get a free eBook in PDF, Kindle, and ePub formats from Manning Publications. This is one of the best online training currently available to teach you developing RESTful web services using Java and Spring. The author, Eugen Paraschiv has extensive experience in developing RESTful web services in the real world and he generously shares his experience in this course. You will only learn the basics of REST and Spring's support for RESTful web services but also about advanced concepts like filtering, pagination, error handling and security for your RESTful Web Services using Spring. I strongly recommend the Master Class of REST with Spring training to get complete knowledge required to work in production. He also has some free lessons from his course, which you can access before your purchase the course. That will give you a good idea about what you can get by joining his master class. That's all about some of the best books and online training courses to learn RESTful Web Services using Spring and Java. 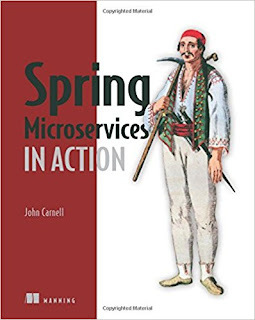 As I said, even though Spring in Action, which most of the Java and Spring developer own is a good book, it's not enough for developing production quality RESTful Web Services. These books along with REST with Spring and Learn Spring Security courses from Baeldung is good enough to fill that gap. Btw, don't get overwhelmed with the number of books or content, to start with you can just pick one book and course. As you progress and learn fundamentals, you can use other books for reference and solidly your understanding of key concepts. Thanks for reading this article. If you like these books and courses then please share with your friends and colleagues. If you have any questions or feedback then please drop a note. P. S. - If you are new to Spring and Spring Boot and wants to learn them in a code-focused and guided manner, you can also check out Eugen Paraschiv's new Learn Spring: The Certification Class, which teaches Spring 5 and Spring Boot 2 from scratch, in a guided, code-focused way.